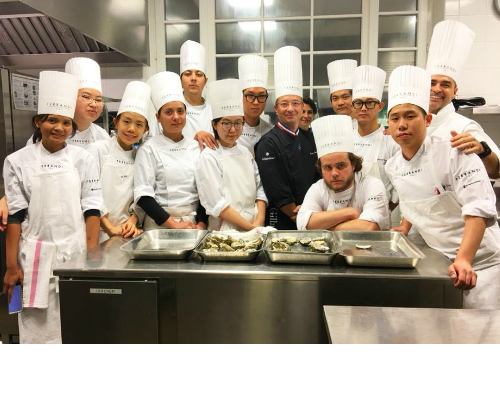 In the past month we had the pleasure of welcoming some of France’s most talented Chefs for hands-on demonstration sessions for our “Intensive Professional Program” students. Students in Cuisine created and tasted dishes alongside the Chef, learning from their years of experience and expert knowledge. Pastry students attended a day-long demonstration by FERRANDI Paris alumnus Yann Couvreur who prepared several of his emblematic pastry creations and explained his techniques and personal touches.